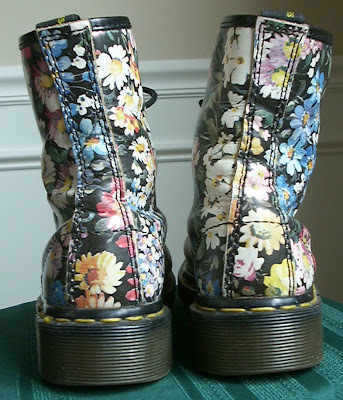 I've never liked doc martens on myself but these make me smile whenever I see them. oh wow, they are soo cute! tooo lovely for their own good! especially with just some change! 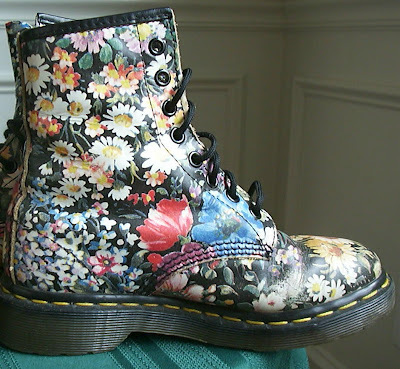 i'm getting me a pair of docs once i save up from the job i JUST got! i want a new pair, to "wear" the life into them. i want them to be a dairy in shoe form for me-so they have a story to tell. goosh doc.marten .,.how much is it in u.s dollars,. ?